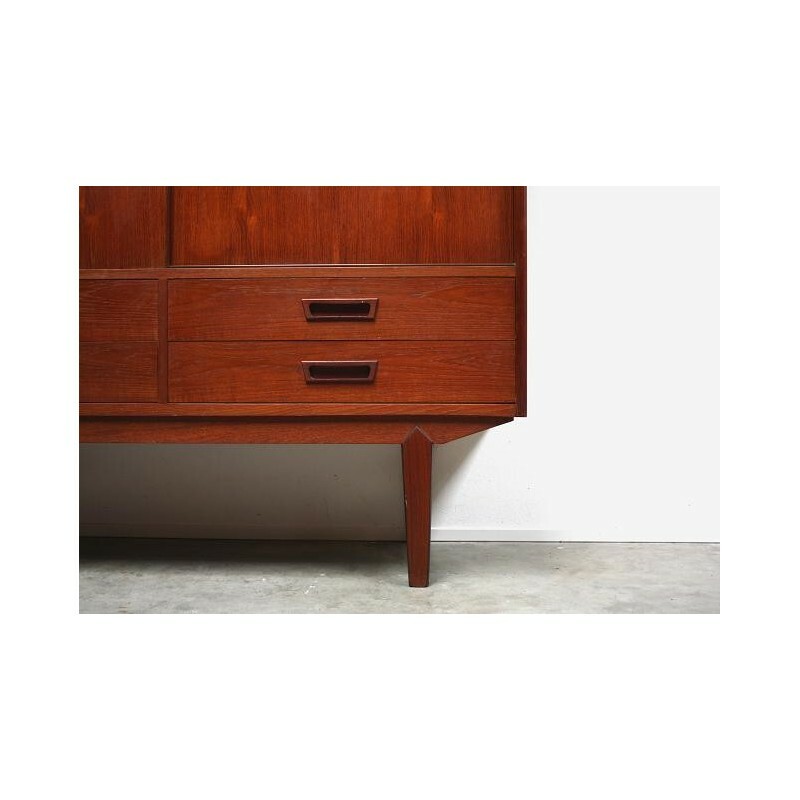 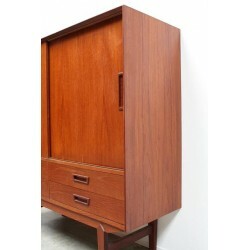 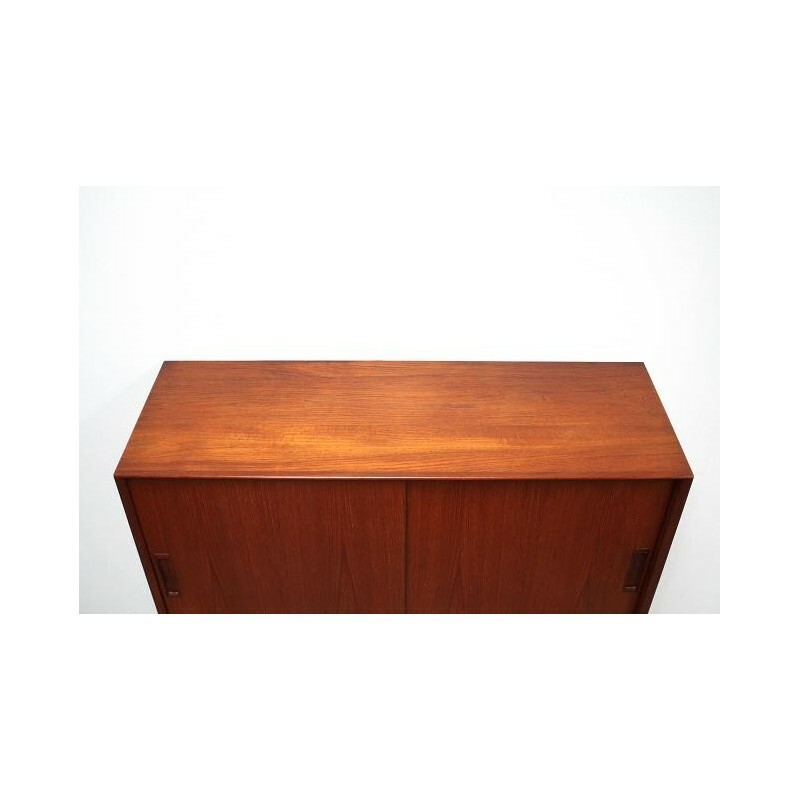 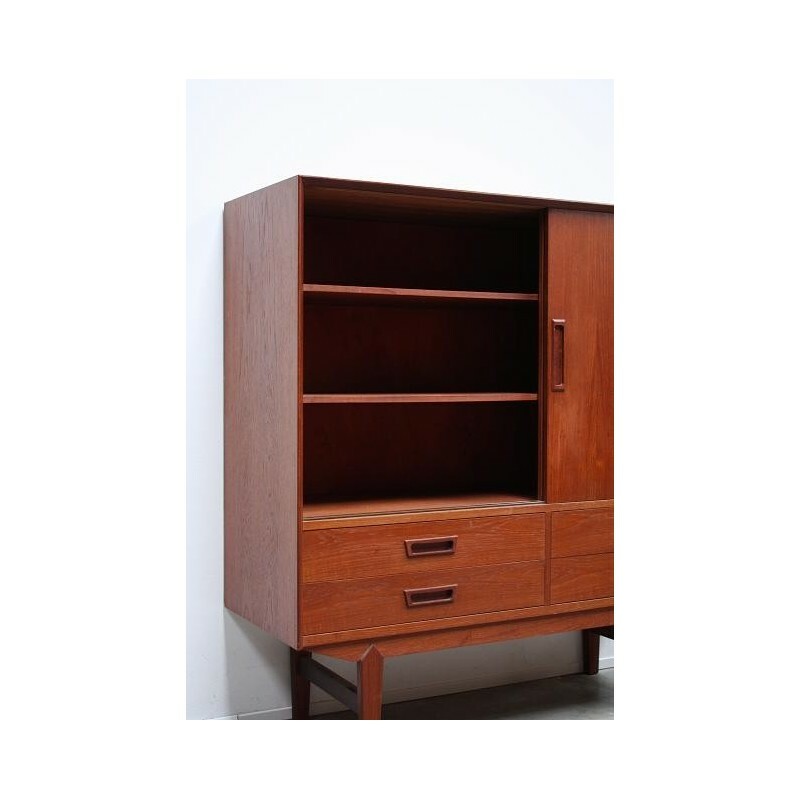 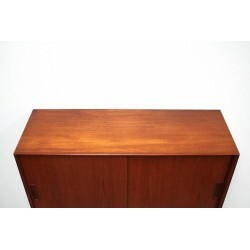 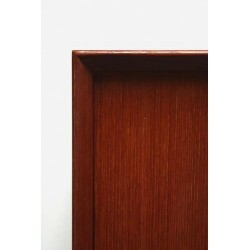 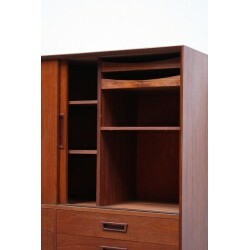 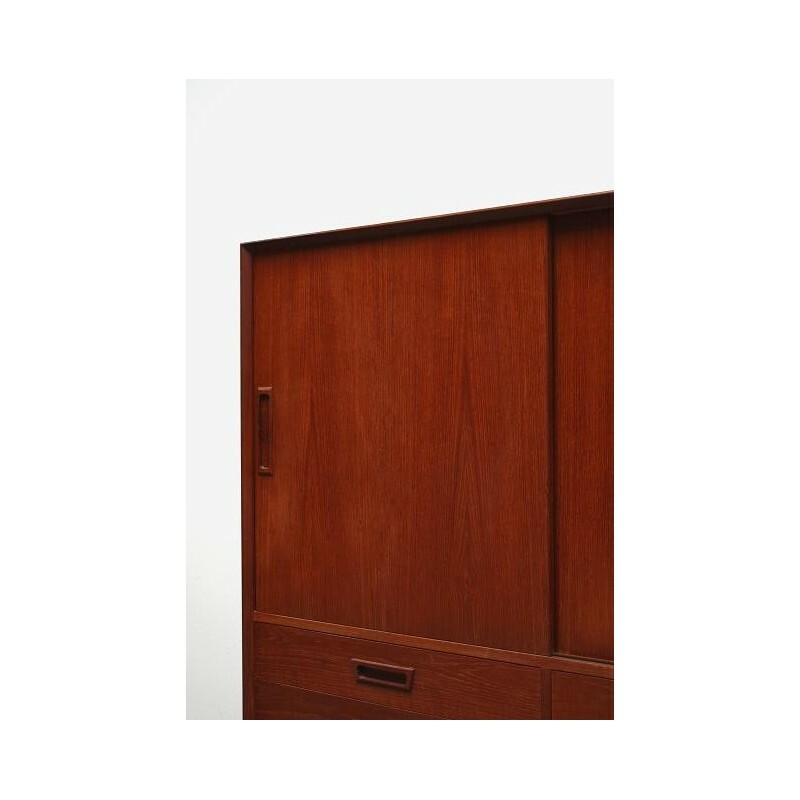 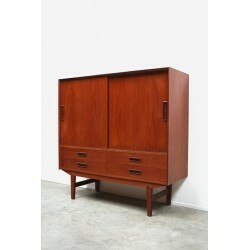 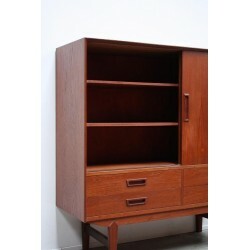 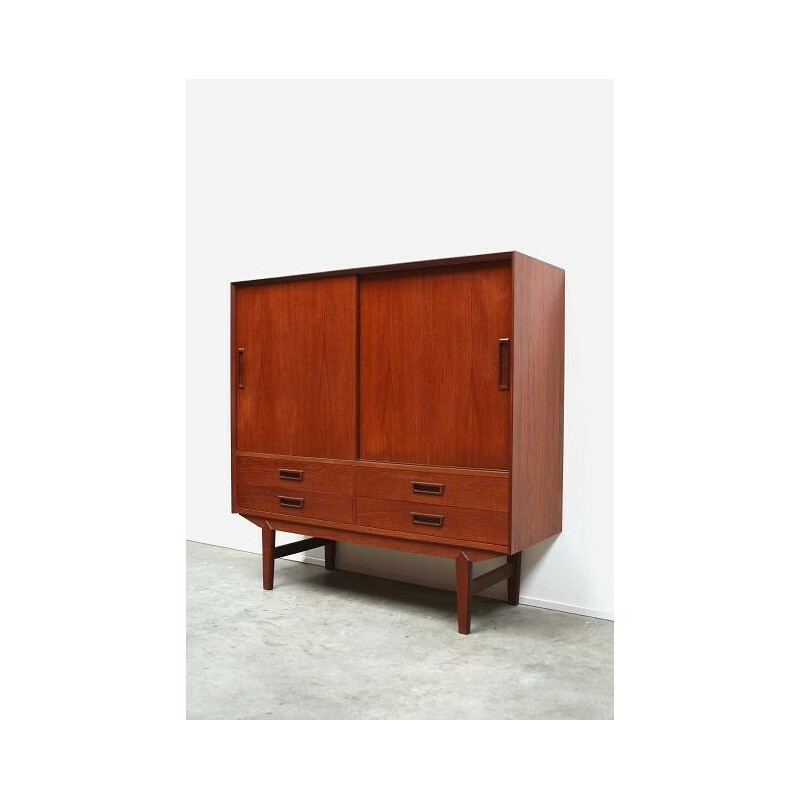 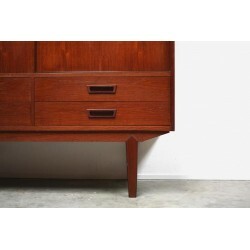 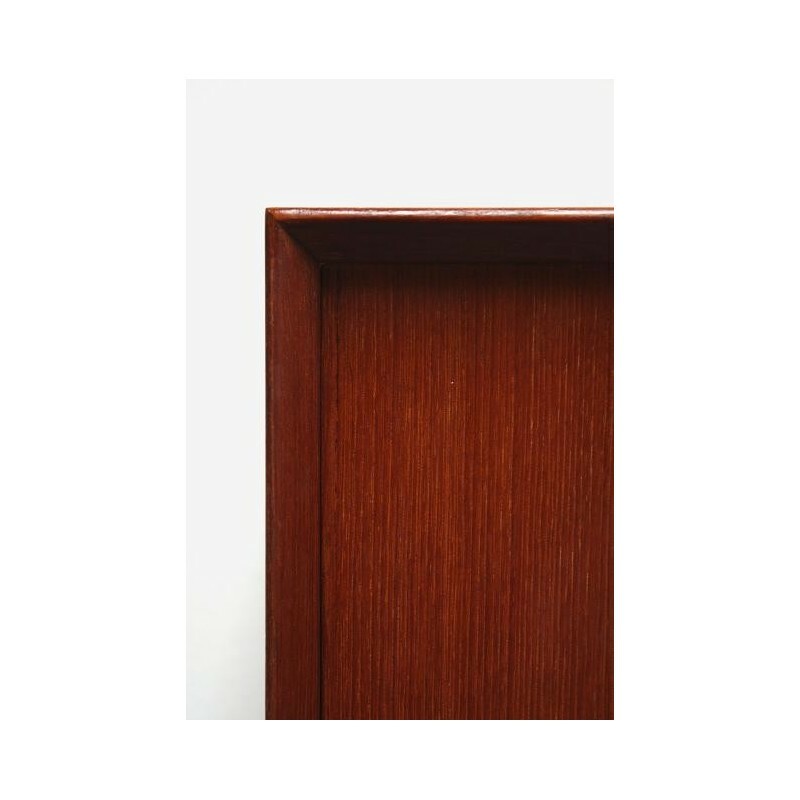 Scandinavian cabinet manufactured in teak. 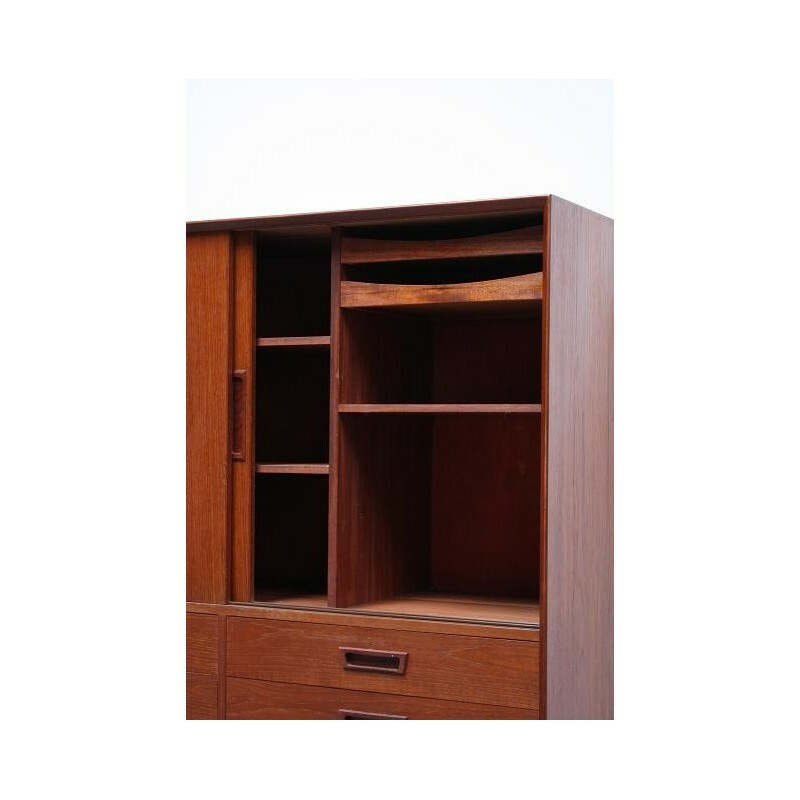 The cabinet has slidingdoors with behind some shelves and 4 large drawers. 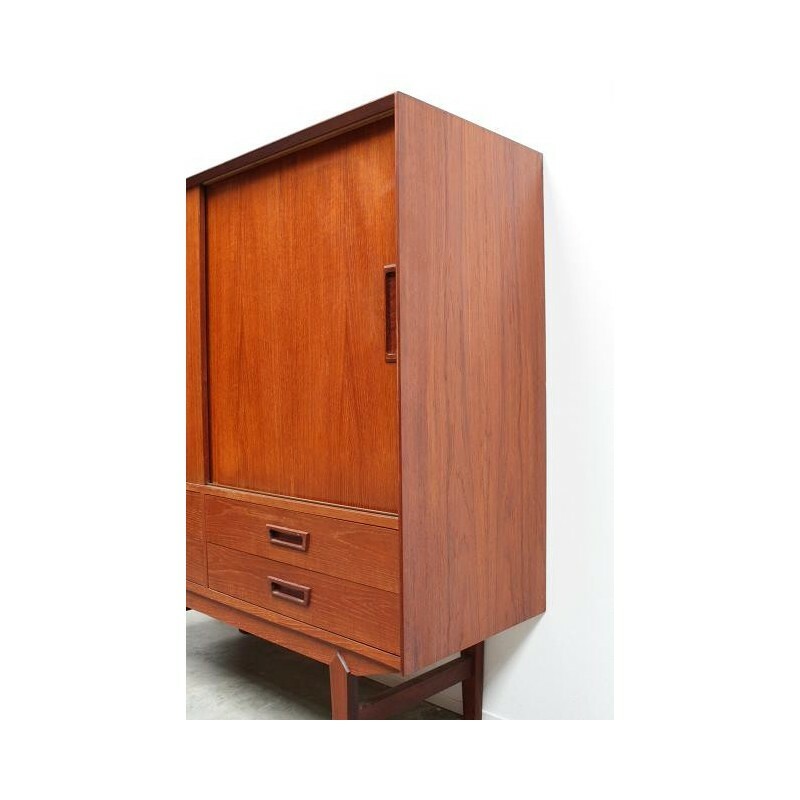 The condition is good, see also the detailed pictures.